The transition from republic to monarchy with the accession of Augustus heralded the transformation not just of the Roman political system but of the city of Rome itself. 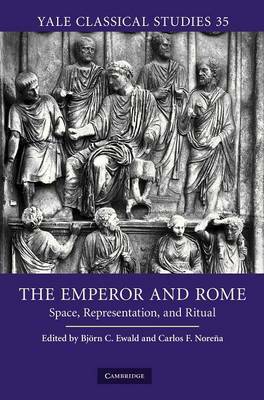 This volume, written by some of the foremost scholars from around the world, addresses three main topics: the impact of imperial building programs on the configuration of space within the city and on the evolution of Rome's urban image; the various ways in which the figure of the emperor himself was represented, both visually and symbolically, in the city's urban fabric; and the performance of rituals and ceremonies that expressed key imperial ideals and values and enabled communications between the emperor and important collectivities in the city. The contributors build on important recent developments in research: increased archaeological excavation and restoration, the proliferation of digital technologies, and the greater attention paid by scholars to the centuries after Augustus.